Our students experience a well-rounded education with an innovative curriculum and enriching extracurricular activities and student clubs. Nurturing talent in a conducive learning environment. 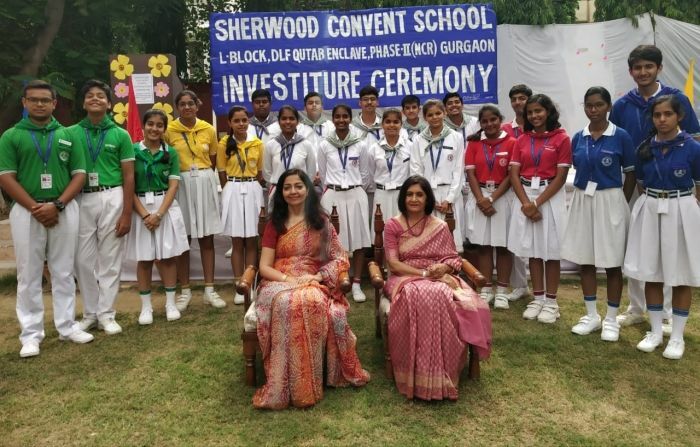 Sherwood Convent School in Gurgaon owes its genesis to our Founder chairman Sqn Ldr M.L. Malik (Retd) Ex-Registrar Sainik School. Since its inception in 1993, the school has grown in leaps and bounds, crossed many milestones and achieved many targets. 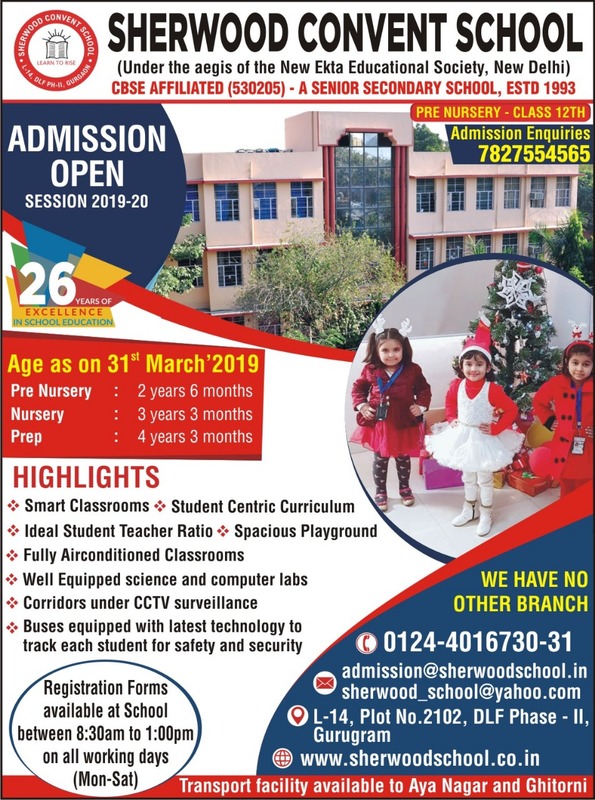 The school that had a humble beginning, today stands tall contributing to and nurturing the ambitions and aspirations of innumerable number of children. The faculty of school has always stood steadfast in all its endeavours. 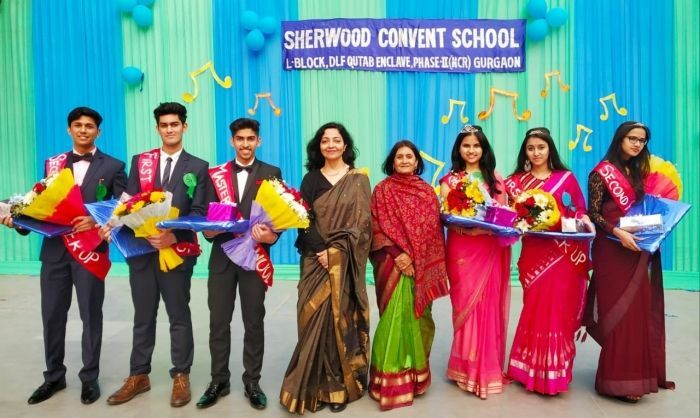 Sherwood Convent being the top & best CBSE schools in Gurgaon, it has the futuristic infrastructure, spacious and well ventilated classrooms. The school adopts a creative and innovative approach where learning is catered through the hands-on experiences, imparted through exposure to myriad activities in both the scholastic as well as co-scholastic areas. An equal and paramount importance is given to extra-curricular activities to achieve an all-round personality development of the students. The multifaceted activities of the school also include the NIE programme organized by the Times of India group. 'Smart class' technology has been adopted wherein classrooms are equipped with Interactive Boards for all classes. This helps reinforce class room concepts and brings greater clarity of thoughts and understanding. In keeping with the advancement of technology, all the classrooms, Labs, Library are equipped with multimedia smart boards to enhance the learning experience. The class rooms are air conditioned to provide a comfortable environment to the students. Activity clubs swing into full force every Friday to nurture the inherent talents of the childern. Each child is allotted the activity of his/her choice as per his/her aptitude and talent. This gives a first hand opportunity for the child to realize his innate ability besides academics. 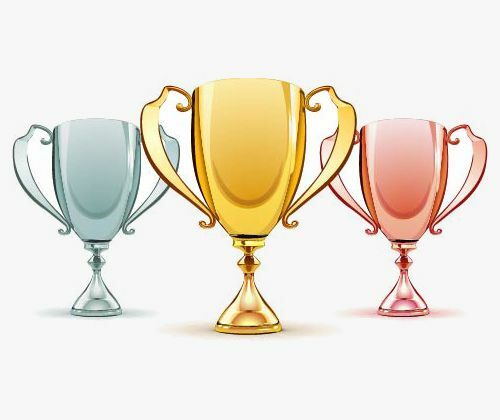 The school has instituted various awards for the students in academics, games and sports in the form of medals, trophies, cups and certificates to constantly encourage the children to deliver the best.